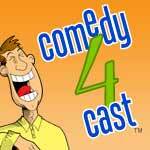 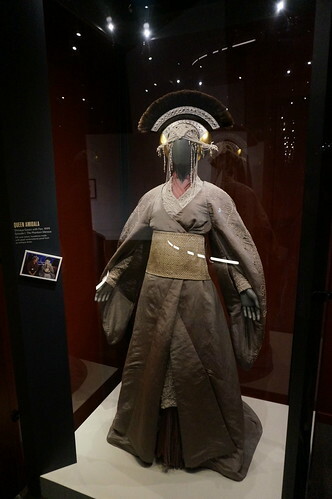 Photos for Disney, Indiana Episode 242 – The Wisdom of Walt and the Costumes of George. 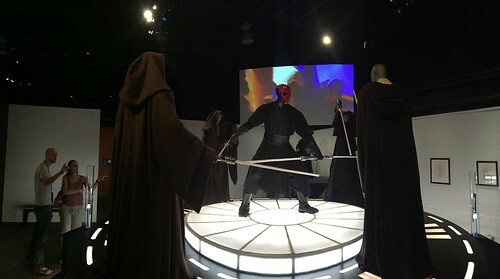 We visited the Cincinnati Museum Center on September 23, 2017. 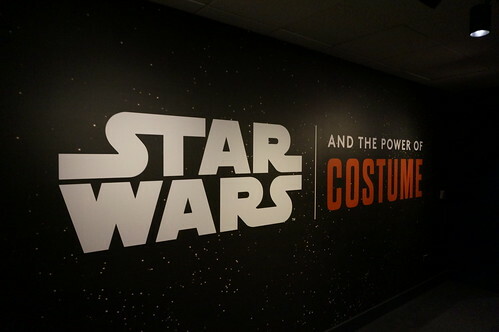 This was the entry area sign for the exhibit. 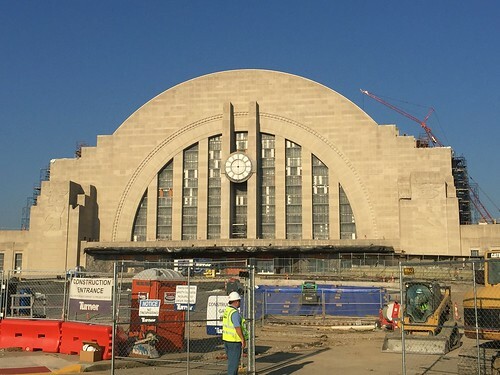 The Cincinnati Museum Center at Union Terminal, originally Cincinnati Union Terminal, is a passenger railroad station in the Queensgate neighborhood of Cincinnati, Ohio, United States. 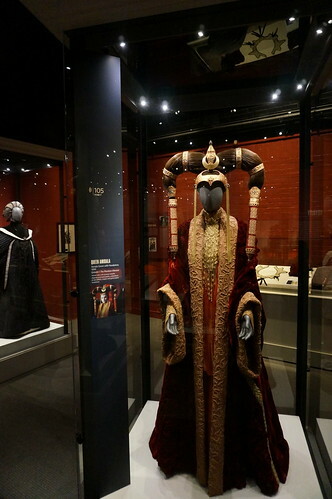 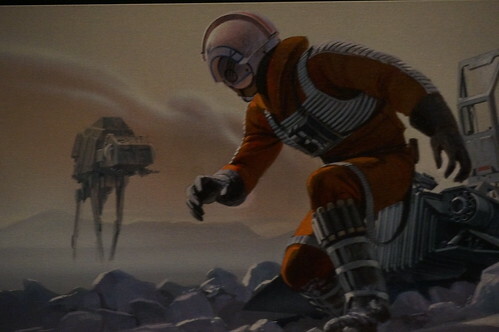 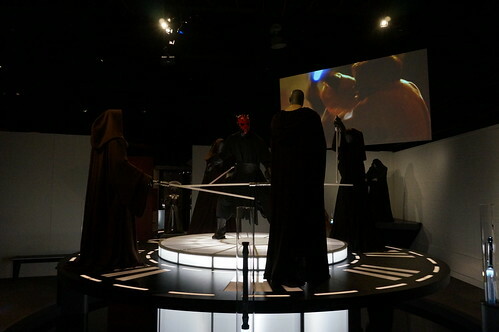 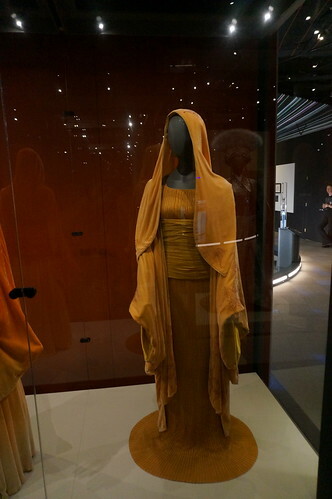 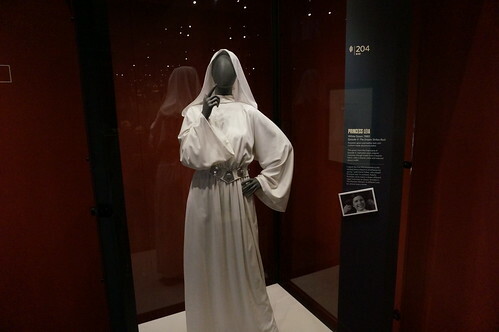 The Star Wars and the Power of Costume exhibit was here in September of 2017. 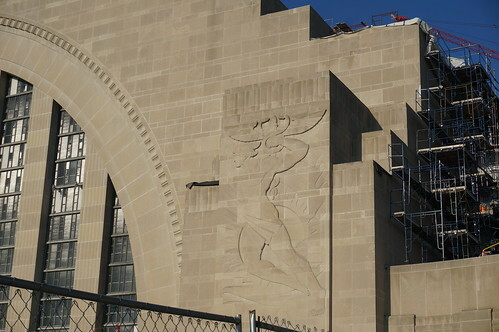 One of the reliefs on the side of the Cincinnati Museum Center at Union Terminal, originally Cincinnati Union Terminal train station. 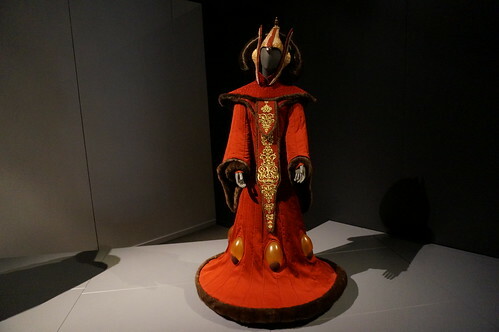 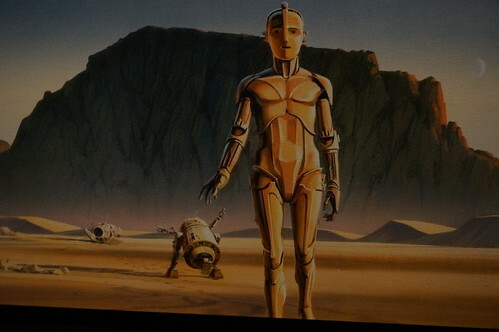 From Star Wars Episode 1: The Phantom Meace. 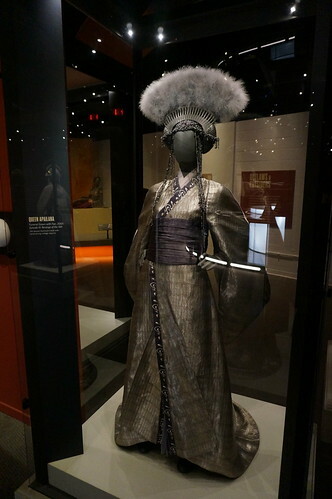 Silk and faux fur with vacuum-formed plastic lights powered by a battery on wheels. 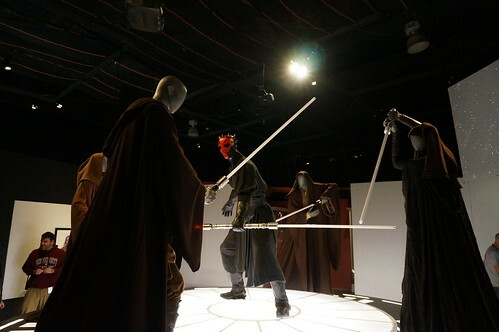 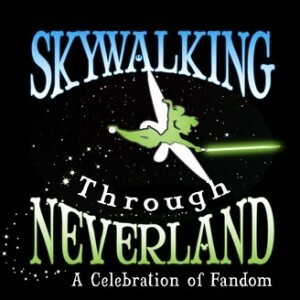 The Jedi vs. Sith section of Star Wars and the Power of Costume. 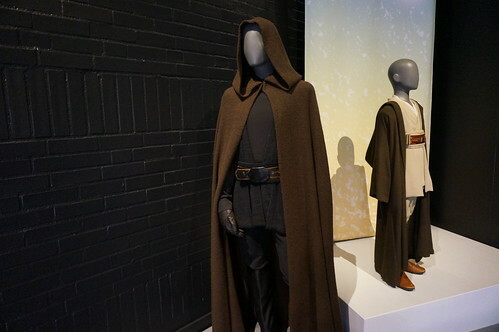 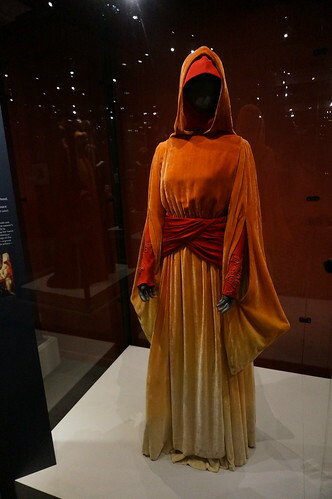 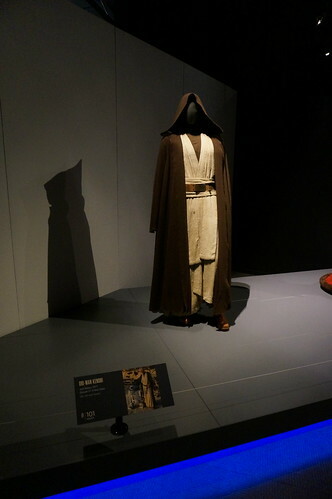 Luke Skywalker's Jedi Robes from Return of the Jedi (1983). 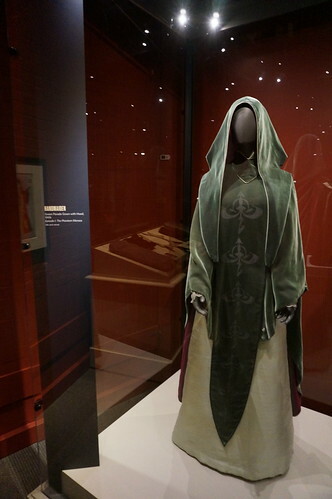 Made of a wool Cloak and a raw silk kimono. 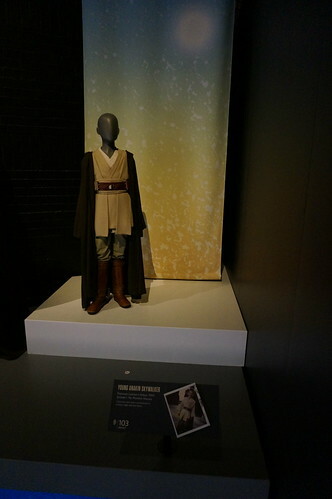 Young Anakin Skywalker's Padawan Learner's Robes from The Phantom Menace (1999). 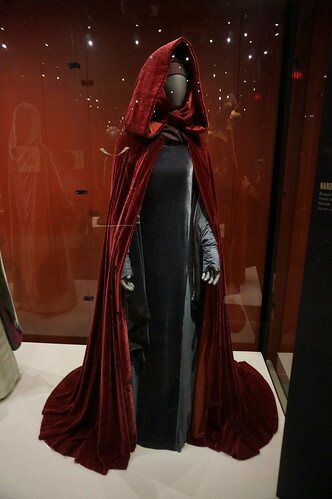 Handmaiden Ombre Travel Gown with Hood.